Margaret Sanger, Alfred Kinsey, Alan Guttmacher, Friedrich Nietze, Arthur Schopenhauer. Click the link to preview the book. I’ve known one of the authors, Ben Wiker, for four years. He is one of the funniest, most affable, and brilliant fellows I’ve had the pleasure of meeting. He usually speaks at the Summer Conferences at Franciscan University, Steubenville, Ohio. The book is written as an easy read, with no prior knowledge of the subjects or their writings required. We’ll be returning to this book as primary source material. Oh yes… this book is AWESOME! One of the first pro-life books I ever read. I could not put it down. Donald De Marco – a great Canadian! Yeah! Also, if memory serves me, an accomplished pianist? I’m interested in reading “galileo goes to jail and other myths about science and religion” edited by Ronald Numbers. Given the times, “afriend”, it is not surprising that many early scientists were Catholic. But that hardly means Christianity ( or Chatholicism specifically) gave rise to science. 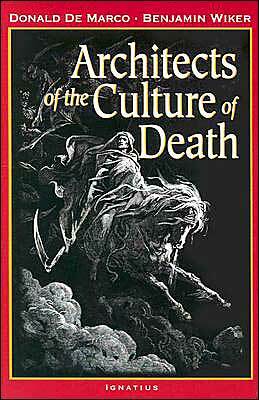 How The Catholic Church Built Western Civilization, by Thomas E. Woods Jr.
Be careful what you call death. Preventing fertilization is not death because there is no life (fertilization) yet. Before fertilization (conception) everything is fair game: barrier contraception, spermicides, anti-ovulants (if they successfully block ovulation, as opposed to letting an egg slip through and get fertilized and it not having anywhere to implant, don’t think us Protestants aren’t pro-life, we are). Look at the genetic signature. Sperm belong to the man. Eggs belong to the woman. We have dominion over our bodies and gametes short of conception. What we do not have is dominion over a (italicized) fertilized egg cell that is someone else’s body entirely.